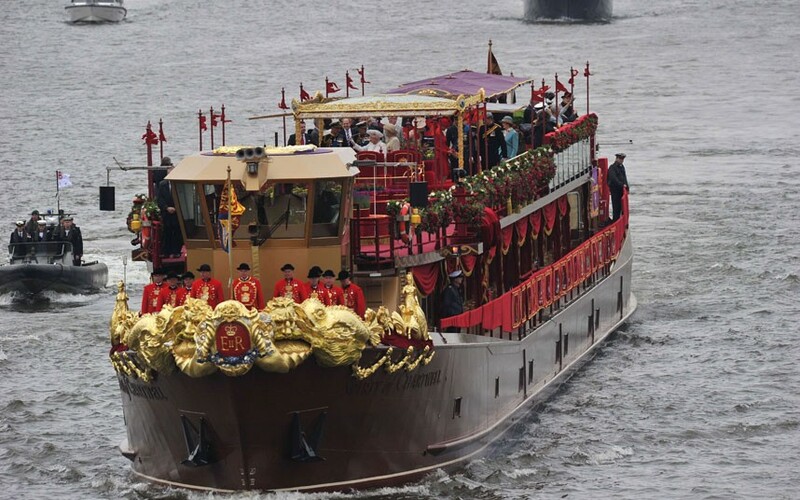 After spending many hours in front of the television until the early hours of the morning, this is not the time to re-capitulate the fantastic Thames Diamond Jubilee Pageant. 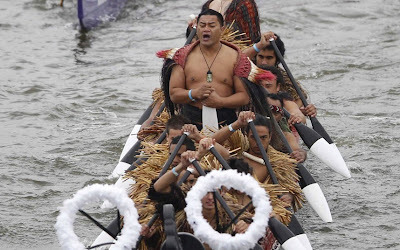 The Queen and all members of the royal family enjoyed the biggest event on the Thames for 350 years together with an estimated 1.25 million rain-lashed royal supporters. Soon the ratings will show, how many Australians watched this spectacular show of loyalty. It has to be admitted that the Thames Diamond Jubilee Pageant could not be covered in the Monday edition of The Age. But why did the chief editor decide to put in an opinion piece of the misanthropic Tim Soutphommasane? His commentary must have been written before the event as there would not have been time for it to included in today's Age otherwise. His comment: Last night, my thoughts turned to Philip. 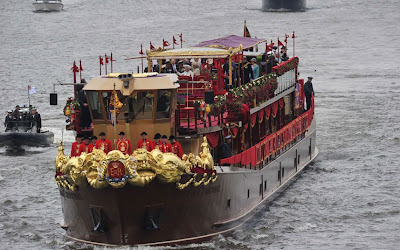 There he was, sitting next to the Queen on the gilded royal barge, the Spirit of Chartwell, as it floated down the Thames as part of a 1000-boat flotilla. But had he really watched the live broadcast, he would have noticed that neither Prince Philip nor the Queen ever sat down. The Queen barely flinched and showed her stoicism by standing throughout a miserable afternoon to greet the armada in conditions reminiscent of her coronation in 1953. Tim Soutphommasane shows his complete lack of the magic of the Monarchy by aligning the form of state with claiming that the class warfare has returned to Australia. As a republican, I hope that Australia will one day sever its formal ties with the British monarchy. ... Yet any apathy about the republican cause might also reflect our flagging egalitarianism. Perhaps we have been growing increasingly comfortable with inequality, in its various forms. This has been accompanied by a new conservative political correctness. ... Charges of class warfare are now back in vogue. We are told that we should be generating wealth rather than redistributing it. That it's wrong to rob Peter to pay Paul. Republicans like Tim Soutphommasane guarantee the continuity of the Australian Monarchy. God save the Queen!